"If you were interviewing candidates for PDC head, what questions would you ask?" the mayor-elect wants to know. 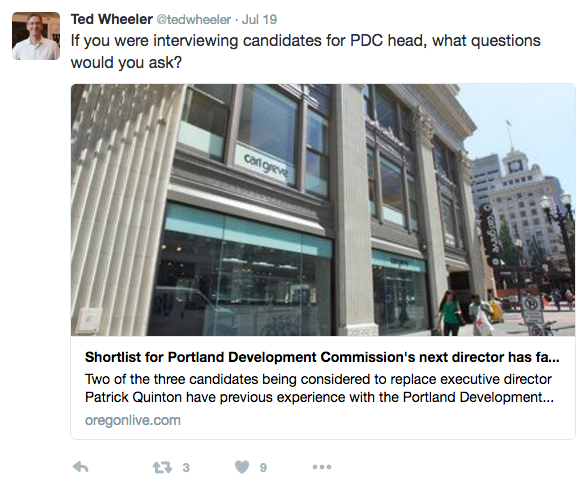 With a national search underway for the Portland Development Commission's next executive director and with Mayor Charlie Hales' promising to include Mayor-elect Ted Wheeler in the hiring process, Wheeler took a novel approach recently: He turned to Twitter to ask Portlanders what they wanted in PDC's next leader. Not surprisingly, Twitter users offered a variety of responses both earnest and cynical. 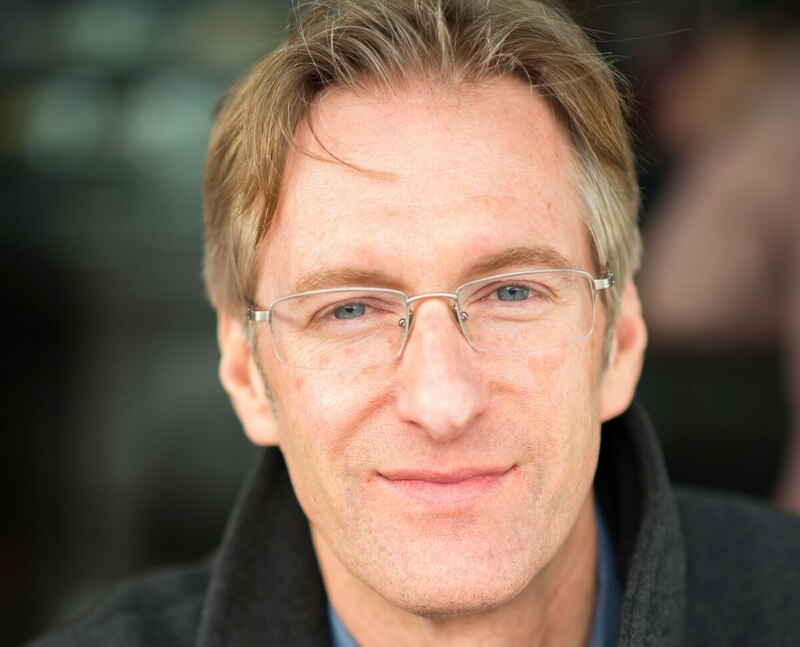 Portland is searching for a new PDC director to replace Patrick Quinton, who left in June after five years at the helm of the city's urban-renewal agency. His announcement in February that he would leave initially caused a ruckus as Hales announced his intention to fill the position before his term as mayor ends in December. Wheeler, then a leading candidate to replace Hales, declared his desire to let the next mayor pick Quinton's replacement. Hales acquiesced in May after Wheeler won the election outright, saying he would include Wheeler in the decision. 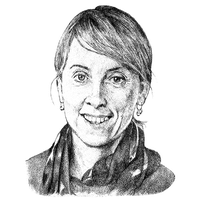 Last week, The Oregonian reported that the PDC has named three finalists: Kimberly Branam, PDC's deputy director; Elissa Gertler, a former PDC executive now with Metro; and Odis Jones, managing partner of a Detroit development group.